The Place to Shop for Greener Life Products (559 visits today so far) made with Pure GC/MS Tested Essential Oils, amazing Hemp Derived CBD Isolate and Concentrates (no THC) and hundreds of other ingredients from Essential Depot. Greener Life Club Members make a great living doing what they love while supplying 600,000+ artisan Greener Life products per week to people that appreciate Greener Life Products. Essential Depot promotes member products listed on the Greener Life Club Product Directory which are permitted to use and display the Greener Life Club Member Logo. These products are also promoted on the Essential Depot Homepage and on Social Media. Not a Member? Join the Greener Life Club Today => CLICK HERE – from only $5/month, cancel anytime. If you JOIN NOW that will increase the membership sign up count to: 12,073. You do not have to be an Essential Depot Customer to join the Greener Life Club and help promote the goals expressed in the Greener Life Diamond White Paper. Greener Life Club members can list their products below and receive a Free Soap Drying Tray Every 6 Months. In addition, your membership secures a 20% Discount on all Soap Making, Cosmetic Making, and other Essential Depot Greener Life Products and Ingredients. Your membership discount can be used to purchase items at EssentialDepot.com and Essential Depot items on Amazon.com. Many other benefits are also included in Greener Life Club membership. 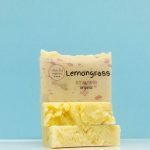 Search the Directory below to find fantastic Natural Soaps, Bath Bombs, Lotions, Creams, Tinctures, Vapes, CBD Products, Massage Oils and other Greener Life Products made by the Amazing Customers of Essential Depot. 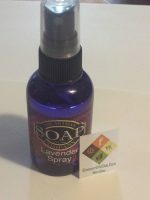 Short Product Description: Lavender Handmade Castile bar soap with essential oil and 94% Olive oil. Also available, Lavender Cream Goats Milk bar soap with saponified oils of Coconut, Soy, Palm, Palm Kernel, Castor, Sweet Almond, Lavender Essential oil and ground Lavender Bud. Lavender Essential Oil Bar soap with a generous amount of Essential Oil and ground Lavender Bud. Lavender is very good for problem skin and has an uplifting affect. The lather is a lovely fluffy white and the sent is heavenly. These bars have been formulated to be skin nurturing, long lasting and gentle. 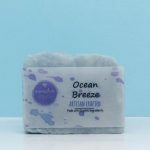 Short Product Description: Fresh as an ocean breeze naturally scented with Rosemary, Bergamot, Lavender, Eucalyptus, and Black Cumin Essential Oils. Ingredients: Organic Coconut Oil, Organic Responsibly Sourced Palm Oil, Organic Extra Virgin Cold Pressed Olive Oil, Organic Sunflower Oil, Organic Castor Oil, Organic African Shea Butter, Kaolin Clay, Colloidal Silver; Rosemary, Bergamot, Lavender, Eucalyptus, and Black Cumin Essential Oils; Organic Sunflower infused Woad for color. Simcha Organic's Line of Premium Soap is artfully crafted in small batches using my Grandmother's time-honored "hot-kettle" method, ensuring the expensive skin-loving ingredients remain available to pamper your skin. Organic oils and butters, nourishing botanicals, aromatherapy grade essential oils, and clays add vital moisturizing properties to the characteristically creamy and luxurious lather of our soap. We avoid lab-generated colorants and scents, therefore you will never find Fragrance Oils, Oxides, Micas, or FD&C Colorants in our soaps. Made with Organic Ingredients. No Synthetic. Ever. Short Product Description: Lemongrass is the perfect scent for when you need a boost of energy. Our soap has a clean crisp aroma, with a distinct citrus and slightly herbal scent. Contains: Lemongrass and Clove Essential Oils, Annatto infused in Organic Sunflower Oil for color. Made with Organic Ingredients. No Synthetics. Ever. Simcha Organics' Line of Premium Soap is artfully crafted in small batches using my Grandmother's time honored "hot-kettle" method, ensuring the expensive skin-loving ingredients remain available to pamper your skin. It is our joy (Simcha) to offer safe products your body will love. You've had a long hard day and you deserve a great night's sleep. Stay calmer. Sleep longer, and Wake up refreshed everyday ready to take on the world.The Artisan soap company uses 100% pure essential oils and natural colorants because we want you to live a healthy, strong, and Inspired Life everyday. Short Product Description: "MOOD FACTOR" = CLEAN and Energized! Made with real ingredients such as coconut oil and Shea Butters. Your skin will be left clean, moisturized, and with a healthy glow with 100% pure essential oils of Rosemary, Poma Rosa, Peppermint, and Lavender. The colorant is Mica Blue. The Artisan soap company uses 100% pure essential oils and natural colorants because we want you to live a healthy strong and Inspired Life. If floral scents are your favorite then this blend is for you! Beautiful and light , soft and delicate. This blend contains Lavender,Gingergrass, and Ylang Ylang Essential Oils. Made with real ingredients such as coconut oil and Shea Butters. Your skin will be left clean, moisturized, and with a healthy glow. The Artisan soap company uses 100% pure essential oils and natural colorants because we want you to live a healthy, strong, and Inspired Life everyday. Imagine bringing all the scents of your favorite sauna or spa home with you. You can with the sinus opening scent of “A Day at the Spa”. The sinus opening qualities of Eucalyptus and the refreshening peppermint will add a cooling dash of positivity to your day. Finish it off with the skin loving qualities of Lavender and you have a winning combo so good the Koala’s are jealous! Our Artisan soap is truly amazing. Made with real ingredients such as coconut oil and Shea Butters. Your skin will be left clean, moisturized, and with a healthy glow. The Artisan soap company uses 100% pure essential oils and natural colorants because we want you to live a healthy, strong, and Inspired Life everyday. Stay calmer. Sleep longer, and Wake up refreshed everyday ready to take on the world. 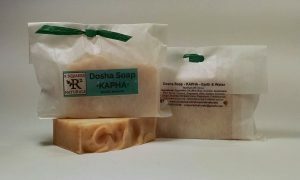 Our Artisan soap is truly amazing. Made with real ingredients such as coconut oil and Shea Butters. Your skin will be left clean, moisturized, and with a healthy glow. The Artisan soap company uses 100% pure essential oils and natural colorants because we want you to live a healthy, strong, and Inspired Life everyday. Short Product Description: This is the Plain Jane but very moisturizing bar of the whole line. Old fashioned but fabulous! This is the old fashioned plain Jane of the soap line. Don't presume this is boring or lack of anything! This soap is made especially for those who want or desire no scent or colors , just a good clean, natural, bar of bubbly that I call "Naked Nelly"! Made with real ingredients such as coconut oil and Shea Butters. Your skin will be left clean, moisturized, and with a healthy glow. The Artisan soap company uses 100% pure essential oils and natural colorants because we want you to live a healthy, strong, and Inspired Life everyday. Short Product Description: Made with real ingredients such as coconut oil and Shea Butters. Your skin will be left clean, moisturized, and with a healthy glow. The Artisan soap company uses 100% pure essential oils and natural colorants because we want you to live a healthy, strong, and Inspired Life everyday. This is my personal favorite! This soap is full of wonderful essential oils that really make you feel as if you are walking in a country meadow on a beautiful day. You can close your eyes and can almost hear the birds chirping in the background and the sound of a babbling brook. Essential oils such as Palmarosa, Rosemary,Clary Sage, Cassia, Ylang Ylang,Peppermint, Lavender, Gingergrass, and Geranium Rose work their magic as you feel your mood lifted as you inhale the floral scents and reap the benefits of aromatherapy to enhance wellness and your mood! Alkanet Root for the natural Colorant makes this bar a beautiful deep purple in colorThis soap smells Fabulous!